A family-friendly walk through Jesus' last days, told through objects within the story - the foot washing basin, the chalice, the crown of thorns, the cross - finishing with communion from reserved sacrament. 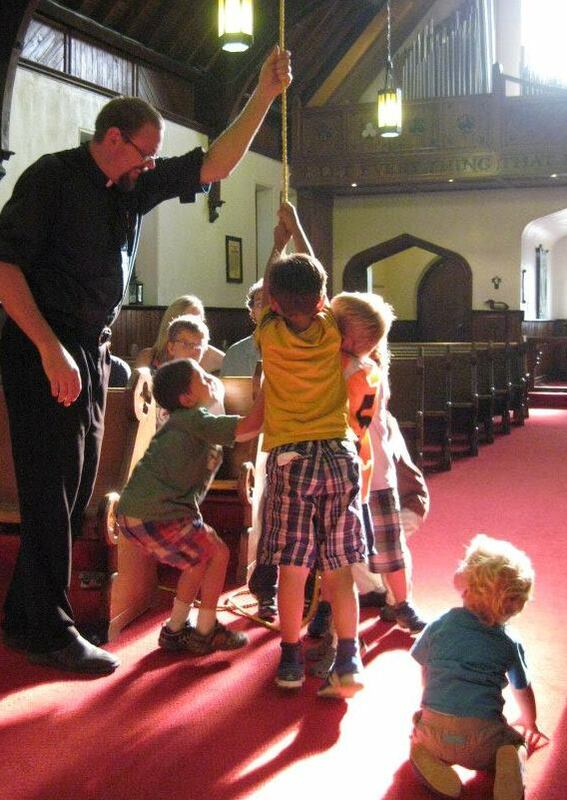 A powerful liturgy that moves adults as well as children. A solemn liturgy featuring the Passion narrative from John, veneration of the cross and communion from reserved sacrament. In the dark of the church, the New Fire is lit. Its light spreads slowly, as hope in a desperate world, until the light is complete and the joyous shout is heard - "Alleluia! Christ is risen!" This year's Vigil will feature harp and classical guitar music. A joyful celebration of the resurrection of our Lord, Jesus Christ. A simple, said liturgy celebrating the resurrection of our Lord, Jesus.